Today is one of my favorite days...consignment sale shopping day! 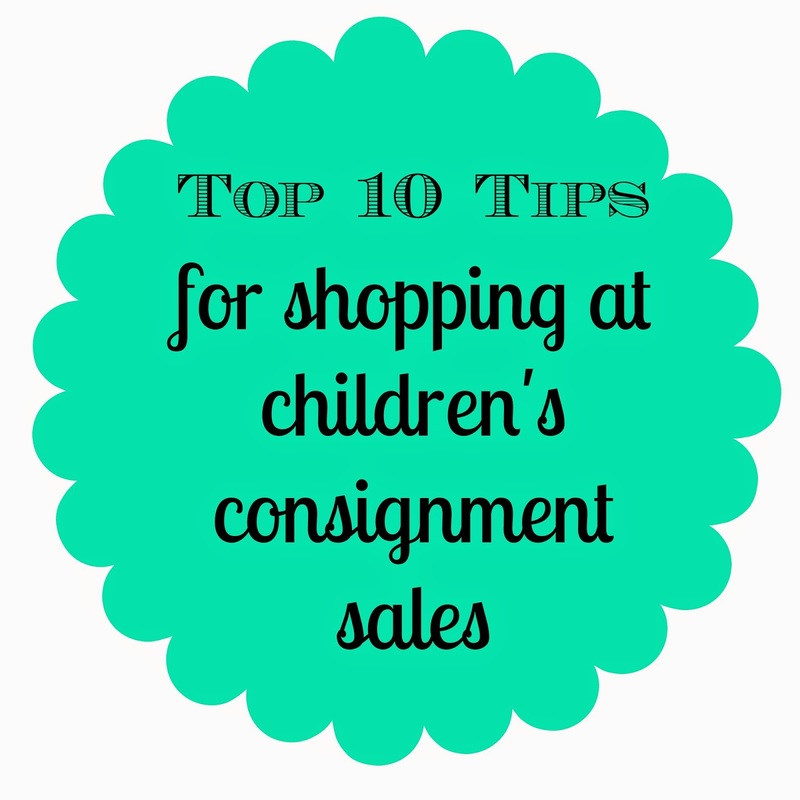 I started shopping at consignment sales about 6 years ago and once I discovered the awesomeness of these sales, I never looked back. I love the hunt for a good deal (I get that from my mom) and get so excited about all of the great things I can find for dirt cheap. 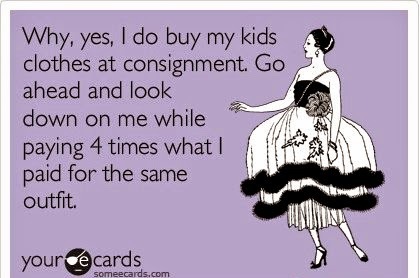 I probably get about 75-80% of my kids wardrobes at consignment sales. Different sales offer different stuff, but I find everything from boutique brands to other name brands like Gap Kids, Polo, Gymboree, Old Navy, Crew Cuts, Land End, Hannah Anderson, and much more at a fraction of the price of what it would cost new. Ha! That one made me laugh out loud. What he doesn't always realize is that if I bought all of this stuff new we would be in the poor house. He does get it, but doesn't always share my excitement over a $4 pair of Sperry's or a $5 Polo shirt. Here's the deal though, kids grow fast. Like crazy fast and it is crazy to me the amount of money you can waste on clothes they will only wear a handful of times. Now with me having two girls, I feel like I can justify spending a little more knowing it will be worn twice, but with one boy, I'm happy to score deals. In fact, just the other day Boo-Boo ruined a Polo shirt when he decided to try to make his own chocolate milk. If I had bought the shirt for full price I would have been livid. Even if I had bought it for $15 at TJ Maxx I would have been upset, but because it only cost me $5, I really didn't mind. Photo credit of Kindermart Sale. Yikes, right?!?! So much stuff and before long that a room will be packed full of people...double yikes!!! I have learned a thing or two or ten about shopping these sales and want to share all of my tips with y'all today! 1. Find out the details of the sale. Different sales have different rules. Some don't allow kids on certain days, some offer childcare, some won't allow strollers before a certain time of day, some only take cash or check, some you can't bring in purses, etc. If you plan to shop a sale, be sure to check the website for important information like this before you go so you don't show up unprepared. 2. Shop early, if at all possible. Most sales have a "preview night" where you can shop ahead of the public. For some you have to be a seller to get in early, but some sales offer early shopping if you volunteer a shift at the sale, pay a $5 donation as your early entry fee, or even new or expecting moms can get in early at some sales. Just like anything, the good stuff goes fast so if you can get in the sale before the majority of other people, do it! I usually keep an ongoing list in the notes section of my phone so anytime I think of something I need for the kids I write it there. 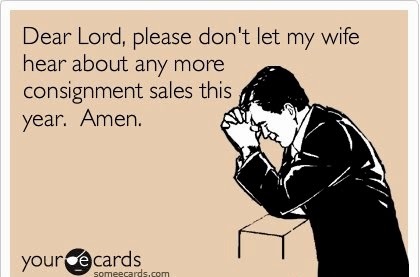 That way, when I get into the sale I'm not distracted by all of the craziness and instead I can keep my head on straight and remember the items I really want to look for. Little Mama is hard to fit. She is super tall and skinny, so most pants I try to buy her are too short. I often have the same problem with dresses and I've bought too many things only to realize they won't work for her and you can't return to a consignment sale. All sales final. Thank goodness I have another daughter that can wear it eventually. Now I have gotten smart about it and I measure a pair of pants that fit her or the length that a dress should be so before I buy something questionable, I can measure the item at the sale (just don't forget a tape measure) and double check that it will fit. 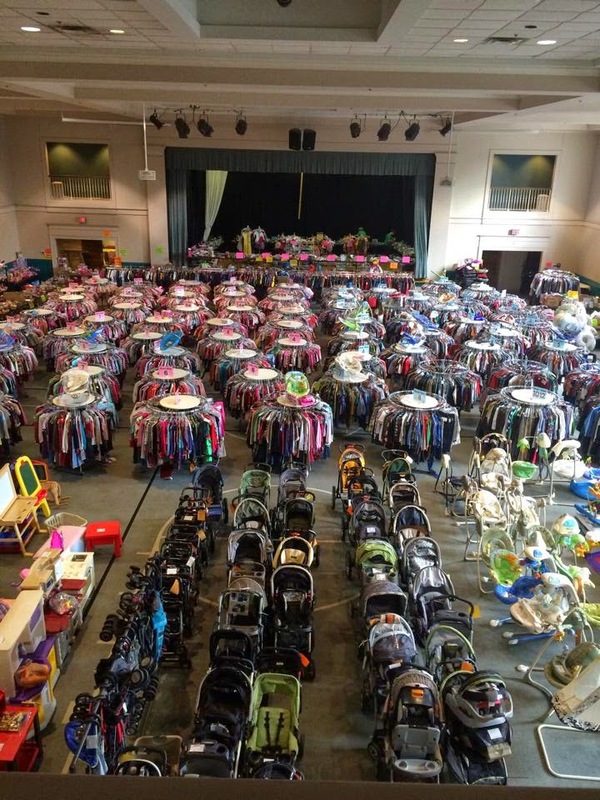 Consignment sales are packed. There is tons of inventory and not a lot of space and usually there are tons of shoppers. I always try to get to a sale 15-30 minutes early. People will start lining up early and being at the front end of the line gives you more time inside before things get crowded. 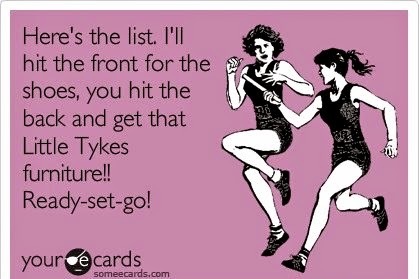 Those precious few minutes in before the masses could score you something great! Like I mentioned above, know the details of the sale so be sure to have the acceptable forms of payment ready and have something to carry your items in. This was a total rookie mistake for me at the beginning. Trying to hold on to all of your stuff while also looking through the items becomes difficult, especially if you plan to buy a lot. You can use a market tote or large bag, but my favorite method is a laundry basket with a belt or ribbon attached to it so you can pull it around behind you. It might look a little odd, but I promise it is worth it and others will have the same thing. This makes it easy to toss in the items I want, pull it behind me when it gets heavy and avoid bumping into and squeezing through all of the racks of clothes. Like I said before, the good stuff goes fast, so knowing what you are looking for and prioritizing what you want to look at first can help you get lots of great items before the other shoppers. I generally look at shoes first, then girls clothes (because there are always more people shopping for girls stuff than boys) followed by boys clothes and then I will make quick round through the toys, puzzles and books. One year I was REALLY wanting a single Bob stroller so I dashed to that section first and scored it before looking at anything else. I would just suggest prioritizing what you really hope to find and going their first and then making your way around to the other sections of the sale. As you start scouring the racks of clothes or bins of shoes, when you see something you think you like, toss it in the basket. Even if you think you only like it a little bit, put it in the basket. I don't look at the price, I don't check the tags, I don't consider the condition, I just toss it in the basket and keep going. If you leave something on the rack while you think it over, it will be gone when you go back to get it. After you are done filling (or over filling in my case) your basket, find a corner off to the side, plop yourself down and start sorting. I generally go through everything and make a yes, no, and maybe pile. Once I narrow down to the yes pile I go over each item. This is when I check to see that the tag description and the actual item match up (making sure the size is really what the consignment tag says it is), looking at the condition of the item, checking for stains, and considering the price. There are always volunteers taking items to go back on the floor so you just hand off the ones you changed your mind about and don't feel bad about it...that is why they are there. 10. Have fun and don't stress. I like to equate consignment sales to Black Friday shopping. Some people are crazy and can get a little testy, but most are there for a good deal and to have fun shopping for things for their kids. Keep that in mind and you will have a happy experience! Thanks so much for these tips! I've only ever been to one sale and i was so overwhelmed I vowed to never go back! ha! But every year our preschool has a huge sale, so I really need to start selling/buying. I felt the same way when I went to my first one. :-) I learn something new each time though and now I feel like I am a pro! Thanks for the tips!!! I'm one of the crazy people who buys all new stuff and has tons to get rid of!!! The church next to my work (midway umc-Alpharetta) is having their sale today-21st if you are in the need to shop more!!! This is great! 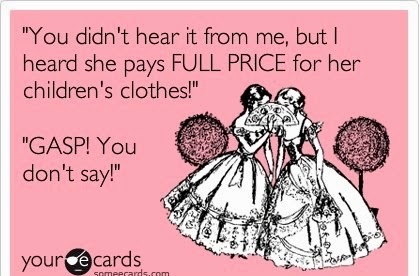 I've only shopped one big sale twice, but Once Upon a Child all the time and this is so accurate!